Mr. Pfledderer has 19 years of experience in Network consultation, installation and support with an emphasis on Microsoft Windows NT and Citrix products. Mr. Pfledderer began his career at ADT Security Systems in 1994 as Operations Supervisor. In this position, he was responsible for maintaining a 20 user NetWare 3.12 network, including administration, PC hardware and software troubleshooting, database design and implementation, and end-user training. In 1996, Mr. Pfledderer became Director of MIS at Business Furniture Corporation in Indianapolis. As MIS Director he was solely responsible for maintaining a multiple location 75 user Windows NT network, including network administration, desktop support, and end-user training. In late 1997 Mr. Pfledderer became an Engineer with DataShare Corporation. He was responsible for design, implementation, and support for network installations at various client sites around the state and around the country. At the time of his departure in 1999, he was acting as the technical manager of DataShare's Microsoft group. 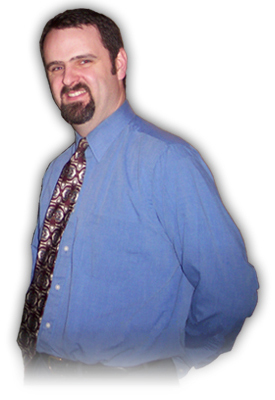 Mr. Pfledderer is Microsoft Certified and a Citrix Certified Administrator. He holds a Bachelors degree in Electrical Engineering from Purdue University. Mr. Pfledderer is currently a director with allesTek, Inc. He specializes in network design, installation and support.